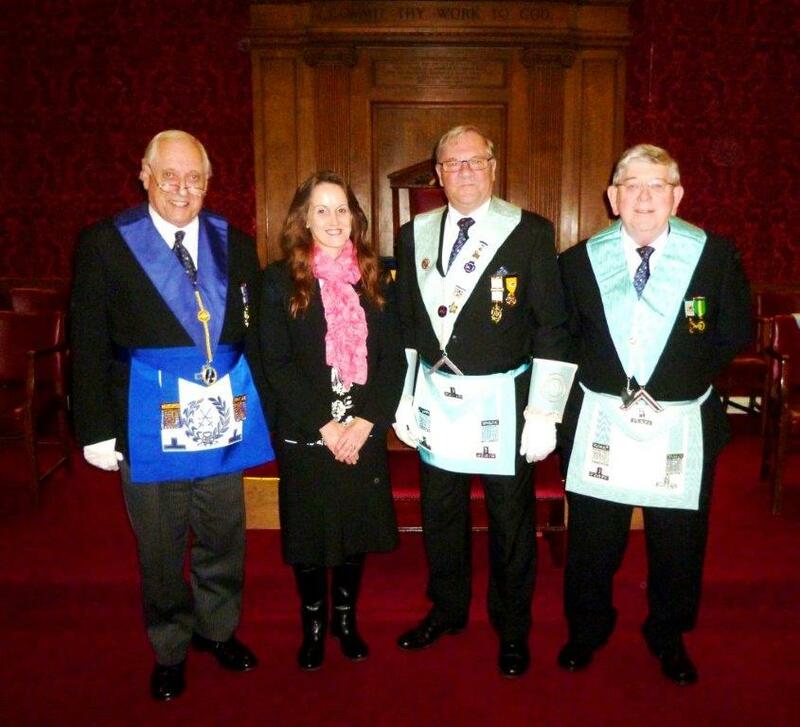 Loraine Coleman, Coordinator and Project Manager of Herefordshire Heartstart, was recently welcomed into the Masonic Temple at Kyrle Street, Hereford, and presented with a cheque for £1,000 by the Brethren of Palladian Lodge. Denis Cox, Worshipful Master of this oldest Herefordshire Masonic Lodge, in personally presenting the donation, emphasised how important it was for the Brethren of Palladian to maintain the policy of Herefordshire Province in robustly supporting local charities. Loraine Coleman, Herefordshire born and bred, described how this donation would greatly help her to continue supporting school staff in the county in training schoolchildren, in the classroom environment, to deliver Heartstart – “how to save a life”. It was considered that this financial support would assist at least 4,000 Herefordshire schoolchildren to continue to learn such vital life saving skills. Cox; Worshipful Brother George Walker, Lodge Charity Steward.